The Government of Nepal declared an energy emergency last February—the third one in the last eight years—and set a target to end the crisis in two years. With the recent change of government, the fate of the plan is in limbo. Hydropower, the major source of Nepal’s electricity, cannot end Nepal’s energy crisis in such a short time because of its capital-intensive and time-consuming nature. Alternative technologies like solar, micro-hydro, biogas and wind have been explored; yet, for several reasons they have not been enough. More appropriate energy generation technologies have to be explored to widen energy access to different parts of Nepal. A relatively new technology invented in Austria in 2007 and improvised by researchers in Nepal shows promise of delivering small amounts of electric power—from a few kilowatts up to 25 kilowatts—generated using the vortex of flowing water. The technology is named Gravitational Water Vortex Power Plant (GWVPP). When water passes through a strategically designed basin, a vortex of water is formed causing the turbine located at the center of the basin to rotate. The energy of the turbine can either be used mechanically or be used to generate electricity. Compared to most hydropower plants of Nepal that need hundreds of metres of head (the difference of height between the points from where water is first released from a river or dam to the location of the turbine), and micro-hydro power plants that need tens of metres of head, GWVPP can operate in less than a metre of head. With relatively lower installation costs and low head requirement, these plants can be installed in many places in Nepal, including the Tarai, thus providing a novel method for generating electricity in places without access to the national electricity grid. Small power plants like these can be beneficial to small and medium enterprises in using local and renewable energy resources, thus greatly reducing their operating costs and carbon footprint. Nepali researchers started research work in GWVPPs in Nepal since 2012. After continuous efforts of several Nepali researchers, two major innovations were accomplished. Conical basins were found to be more efficient than the original design with cylindrical basins in forming water vortices. Similarly, if the turbine is positioned at 60 to 70 percent of height from the bottom, efficiency would be optimum. These innovations were a result of rigorous mathematical modeling, laboratory tests and design efforts. The researchers overcame problems typically faced by researchers in developing countries including lack of adequate funding and technical expertise, difficulty in manufacturing, and little support from governmental and non-governmental bodies. The results obtained have been peer-reviewed and accepted by the scientific community in international conferences and academic journals, including Elsevier’s Renewable and Sustainable Energy Reviews. Few research efforts, particularly in Nepal, make it from academia to industry and society. Besides academic and professional recognition, scientists and researchers covet the potential impact and implementation of their ideas and findings for society. The improved design of Nepali researchers (patent currently pending) is finding few takers in Nepal. Currently, a GWVPP of 1.6 kilowatts capacity is being installed in Bagmati river at Gokarna, Kathmandu. The plant will supply electricity to a nearby orphanage and Martyr’s Park. Technical and commercial feasibility of installation of these plants have been studied for several locations. The goal of the innovators is to install a minimum of 50 such plants ranging from 5kW to 20kW capacity in the next five years. The initiative led by the Institute of Engineering, Pulchowk has garnered support from Kathmandu University and University of Bristol in the UK. More research on financial, economic, social and policy dimensions and implications of the technology are in the pipeline. 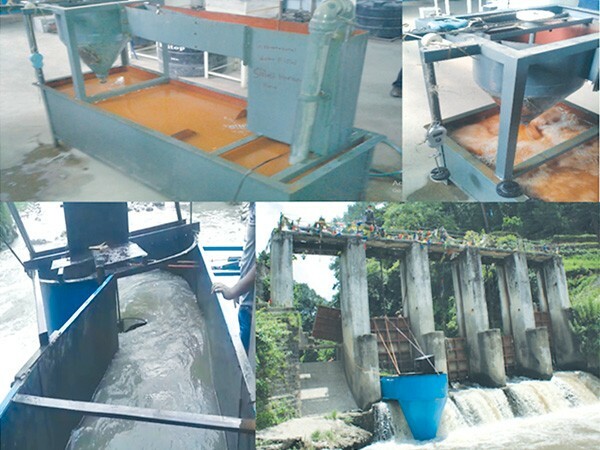 Low-head small scale hydro-electricity generation is feasible in many places of Nepal, including the Tarai, and has the potential to help abate the energy poverty Nepal is facing. Innovations in Nepal’s universities should find their way to society and the international scientific community. Research and innovations like this should be supported by the government, media and the general public to encourage Nepali innovators to develop appropriate solutions to Nepal’s pressing problems.